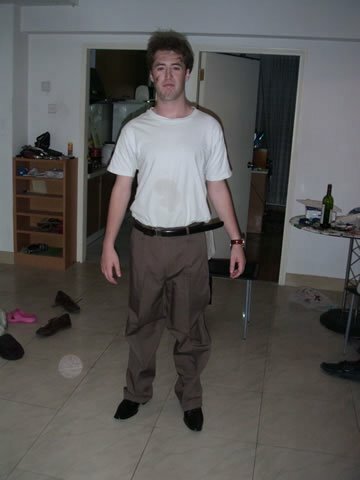 For this past halloween, I decided to dress up as a migrant worker who had made enough cash to buy a blazer, long long black belt, pointy black shoes and some pants. All this stuff is extremely typical of the up and comming migrant worker. The most impressive thing is that covered in dust, and dirt, I was still able to pick-up. Nong Ming forever. Click Read More for Photos.